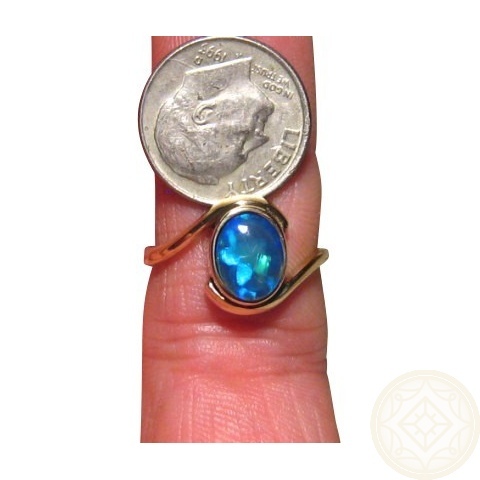 A beautiful Blue Opal ring in 14k Gold with an oval Harlequin Black Crystal Opal. In stock and ready to ship. 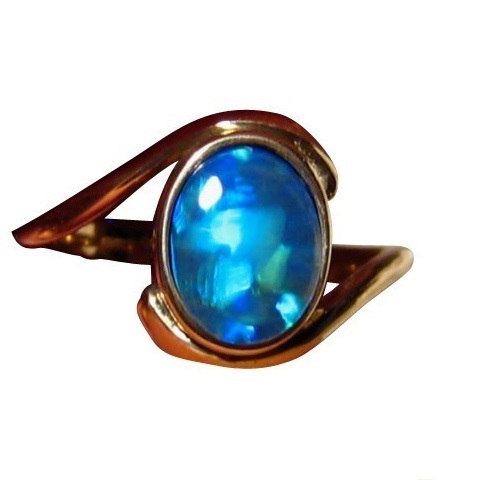 This Blue Harlequin Opal ring for women is in 14k Gold with the band curving around the beautiful Opal. This is a quality ring that the images just do not show. The ring has a good weight of 3.5 grams and measures 12 mm across at the widest points so a good size proportioned ring. 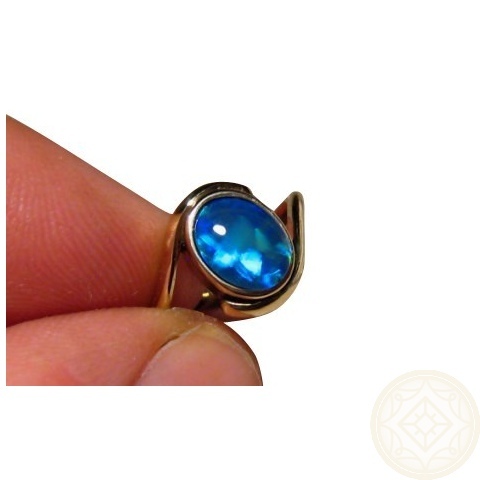 The video below will show the fantastic Harlequin play of color in the Opal with the high shine of Gold and will better show the beautiful ring better than the photographs. 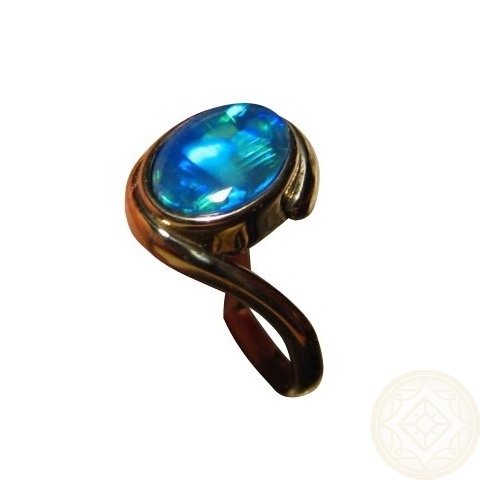 The ring is shown in Yellow Gold but as the Opal is not yet secured, the ring can also be made in White Gold, which would make the Blue stand out. It can also be made in Rose Gold and any other ring size than stated below which will take about one week to make before shipping. 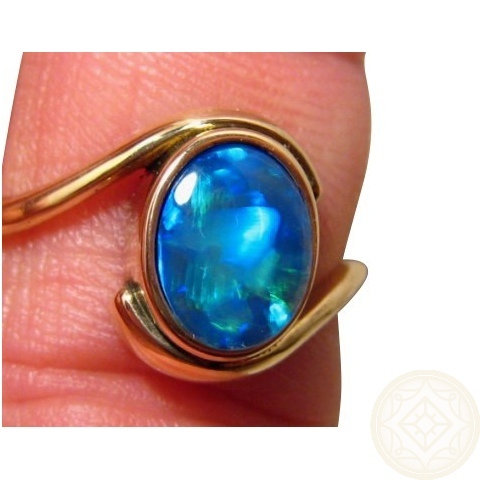 A simple yet stylish Opal ring that is ready to ship now.